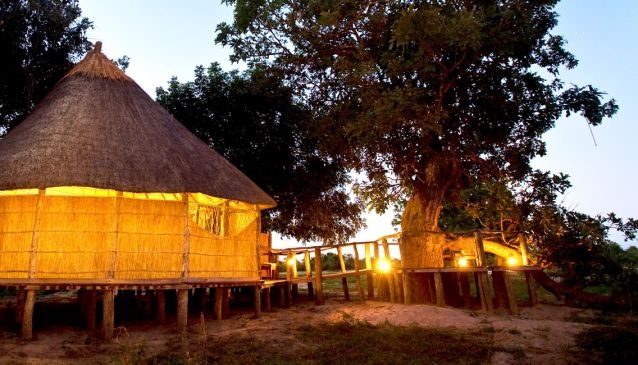 Nsolo, the local name for the honey guide bird, is one of the more remote bush camps in the South Luangwa. With just four rustic, and yet comfortable, grass and reed chalets with open air en-suite bathrooms, this is a very private and intimate camp. Nsolo also offers a 'Return to the Wild' sleep out, sleeping under just a mosquito net and the stars.